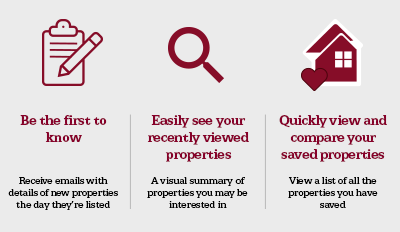 Whether you are looking to rent or buy a home, the chances are you’ll have to view a few properties before you find the one that suits your needs. If you’re rushed or not paying attention, it can be easy to miss some important points and there may come a time when the smallest detail will help you to choose which property to go for. While kerb appeal is important, the area you are potentially going to be living in can be equally vital. Take the time to walk or drive around the neighbourhood to make sure there are no surprises. Have a look at the street at different times of the day. For example, the property might be near a pub and the street gets noisy at certain times. This isn’t a negative for everyone, in fact for some a local pub near by is very appealing, but it is good to know all the facts when trying to make your final decision. You can also check online to see what the crime rate is in your postcode. When you’re viewing a lot of properties, it can be tempting to rush in and out and not really pay as much attention to the details as you should. Being a little more forensic in your approach will pay dividends and should make sure you don’t end up living in a property unsuited to your needs. Don’t be rushed and keep your eyes open. It’s good to have a checklist of things to look out for – Which? have a free one which you can download online. The first area of the property to have a much closer look at is the exterior. Have a walk around the house and check the walls, window sills, the roof and the fascia and soffits (the beams that hold up the roof). If you spot signs of fresh repairs, it could mean there is or was a problem with the structure. Don’t be afraid to ask about them. 4. Can You Smell Damp? There’s an old trick of repainting walls prior to anyone comes to view a property. Of course, a fresh coat of paint is also done to make the property more appealing or more neutral to allow viewers to imagine their own belonging in the property but it could also be hiding damp spots. Damp gives off a distinctive musty smell, so it pays to use your nose as well as your eyes. With an older house, it might be that the windows will need to be replaced. The condition of the windows can also impact on how much you will be paying for your utility bills. If you spot excessive condensation it can be a sign there is poor insulation or not enough ventilation. Especially in properties which are at a higher level like in a block of flats, the water pressure can be an issue. That’s why you should always turn on the taps and make sure you get enough flow. If there’s a combination heater, check how quickly the water heats up too. The most of us have mobile phones with an inbuilt camera, take a few shots for each room as well as outside the property. It means you have a decent record of the flat or house. This will help jog your memory if you are viewing quite a few homes and allow you to make comparisons. If the important decision is coming down to one or two properties, don’t be afraid to ask for another viewing. Perhaps take a close friend or relative with you to get another view point. Of course, one of the best ways of ensuring your new home is the right fit for you is to build a relationship with a local property expert. The advice you will receive can be invaluable, whether you’re buying a new home, selling or looking to rent, chat to one of our property advisers. Our network of branches can be found here.